Writing is communication. Effective communication follows standard rules. Because your writing has to reflect your thoughts, opinions, and expression for you, following the standard rules is imperative to your reader who is listening. Grammar is this set of rules. It is the structure that ensures language is understood. Poor use of grammar can deter a reader from understanding, following, or accepting your information or opinion. Good, correct grammar goes hand in hand with the correct use of punctuation and spelling. Poor use of any of these is a distraction. 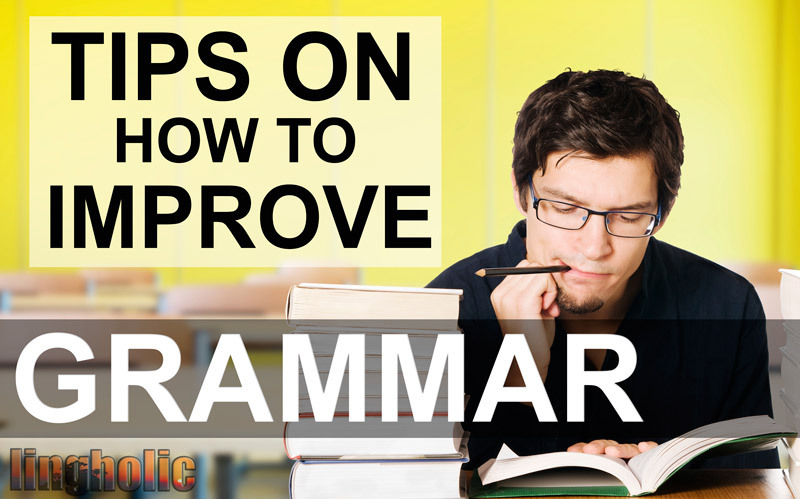 How can you improve your grammar usage? As with any discipline, there are many paths to improvement. 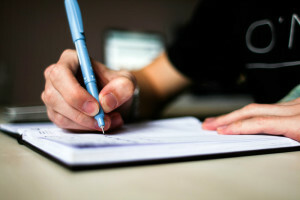 Some students find learning the rules of grammar independent of their own essays, and then completing exercises that practice the usage, is an effective method. Others like to use their own written material and have it reviewed or evaluated for its grammatical errors. Regardless of the method used, recognizing the correct structures of grammatical rules is at the root of better writing. If you can tune your ear into recognizing good grammar, the poor uses of grammar will become more obvious to you. Innately, we can recognize when children misuse verbs, or new English users get their plurals mixed up. In dialects and slang we seem to know what is being said incorrectly. Double negatives are perfect example of this! You likely learned the basics in primary school, and then applied more correct usage as both your language and writing matured. But it is still important to know the rules that separate parts of a sentence (subjects and predicates) from parts of speech, (nouns, pronouns, articles, adjectives, verbs, adverbs, prepositions, conjunctions and interjections). 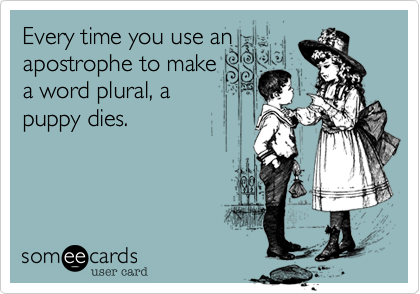 There is a plethora of grammar resources about these online in various learning opportunities from lessons and exercises, to games, and self-correcting. Knowing the rules will make it easier to apply the rules. 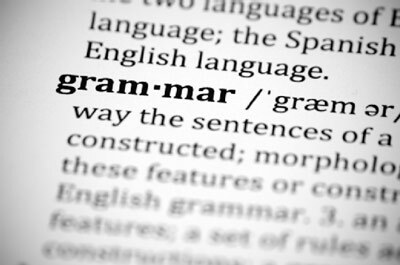 When you think about grammar, and hear it in speech, read it and use it when writing, notice the aspects of English grammar that are the same as, or very similar to those in other languages. This is particularly helpful if you are trying to improve on your English grammar where English is not your first language. Notice also the way that English expresses an idea differently to how it is done in your language. If you notice grammar similarities and differences, you will probably learn the rules more quickly. The best place to see grammar in action is in published materials. The more exposure you give yourself to the correct usage, the more you will see, learn, and eventually understand the correct usage. The rules don’t vary much between fiction, non-fiction, newspapers and magazines. However, self-published materials on websites are infamous for using poor grammar. Stick to reputable published works for the best models. Perhaps you are aware of the errors you are making in grammar, or you are struggling with the same incorrect usage repeatedly. Focus on this area, use online resources, for example, like Grammar Monster to fill the holes in your knowledge. Maybe it is keeping tenses consistent, or using subject and object pronouns correctly ( common area even for native speakers) or ending sentences with prepositions. In some cases, an instructor or teacher can point you in the right direction. When editing your work, you can focus on these particular areas. You may find that grammar exercises are tedious and hard to apply to your real speaking and writing, but look further. There are many ways that the practice can be more relevant. There are online sources that use “spot the error” strategies and “choose the right answer” that make it easier to learn and practice, and there are also online resources like ExamTime that suggest quizzes. Mix it up. Vary between the different parts of speech so you don’t strengthen just one area, such as verbs, and leave another area, such as pronouns, weak. Try writing out some sentences of your own that follow the same rule that you are practicing. Language learners know that it is extremely important to speak and read at any given opportunity. Listen, too, carefully how others speak. Watch television…even children’s programs – which are slower and more articulate if you truly are a beginner. Use the technology – rewind television to hear dialogue again and again. Closed captioning can also help you by combining the written word with the spoken word. A buddy, or even a mentor can be a valuable assistant, particularly if they are a native English person, and if they are willing to offer up constructive criticism to your language learning and the errors you are likely making. It would be a valuable investment to submit your paper to a tutor or to a writing service that will review it for you, and ideally walk you through the errors as they pertain particularly to grammar. Some online services are quite comprehensive in helping you with improving your paper, but you may find just the help you need at your educational institution. Tutors and other specialists won’t fix your errors or writing problems, but their intention is to help you improve. Keep a record of these so you will be less likely to make these errors again. Most people with English as their second language make grammatical mistakes while speaking in English. Furthermore, even native English speakers make errors, often unknowingly. Improving grammar does take much time and effort, but it is well worth it. Julie Petersen is a young writer and a language tutor with 4 years of experience. At present time she is working on her first fiction novel. I give much of this advice to the students, especially re reading and noticing, but I hadn’t thought to explicitly tell them to compare grammar with their native language. Thanks for the tip! Glad you found the article useful, Ruth! I noticed you’ve started learning Korean, that’s pretty cool! Do you still live in Vietnam or the UK or are you somewhere else? Hope you’re also able to maintain your Vietnamese! “Be realistic.” That’s the best advice my English teacher gave me when struggling with writing and pronunciation. I think that taking the pressure of speaking and writing without mistakes off yourself makes you perform better. Very true indeed. One of my favourite quotes goes like this: “Better to do something imperfectly than to do nothing flawlessly.” Even if you make mistakes, the important thing to take home is that you get practice and make improvements. I like the article and I have discovered areas I must put focus on. Glad you found the article useful, Paul! Let me know how your grammar study is going. For me, reading is the best way to know how the structure works in different contexts. Yes, doing a lot of reading really helps, I find. What I like to do is to sometimes access resources that have interesting content professionally translated in many languages. I can then read the same article in more than one language and quickly grasp how the grammar and structure of the language works.